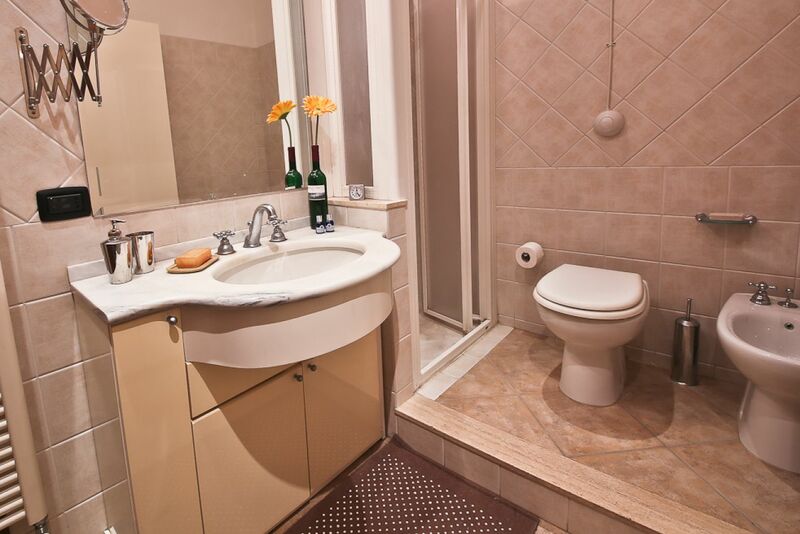 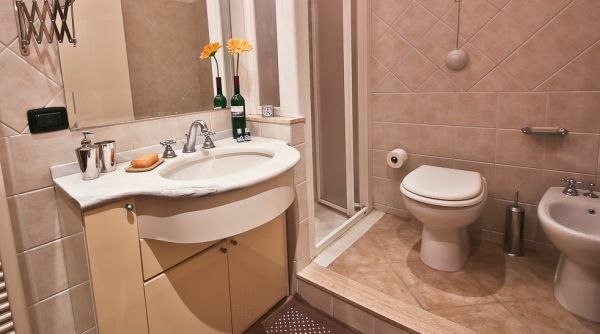 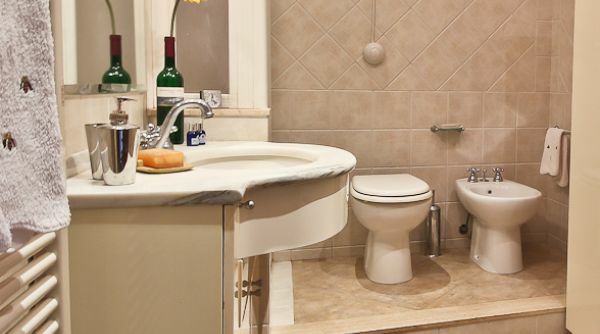 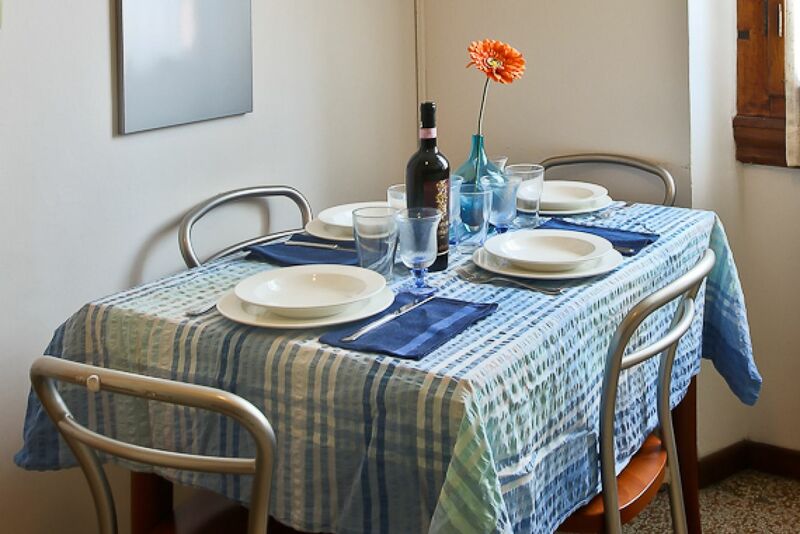 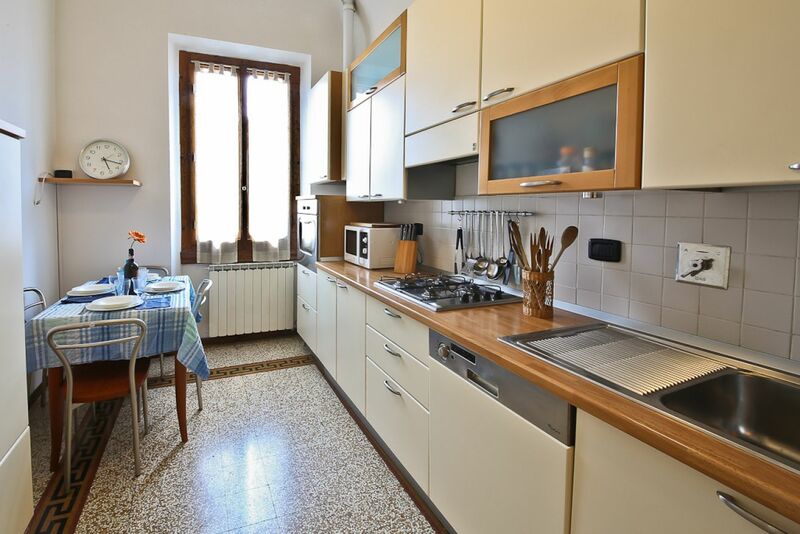 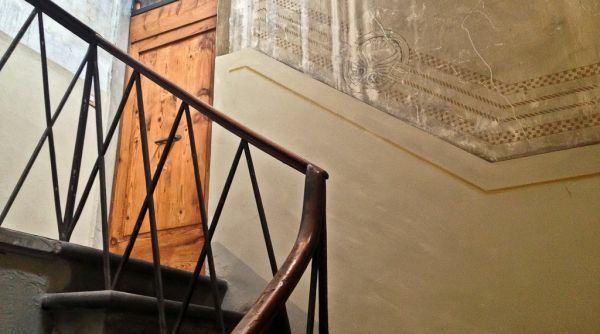 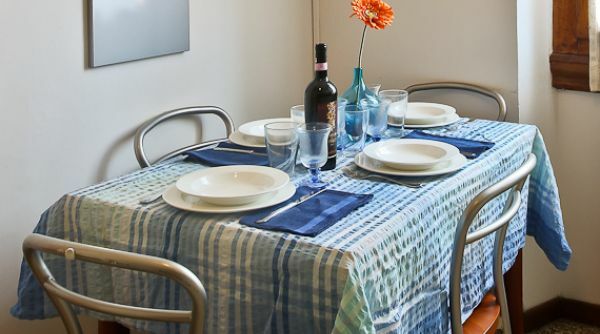 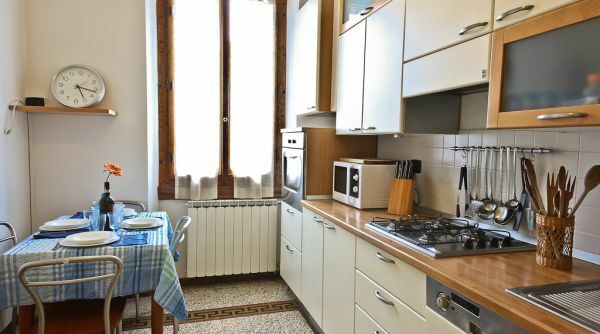 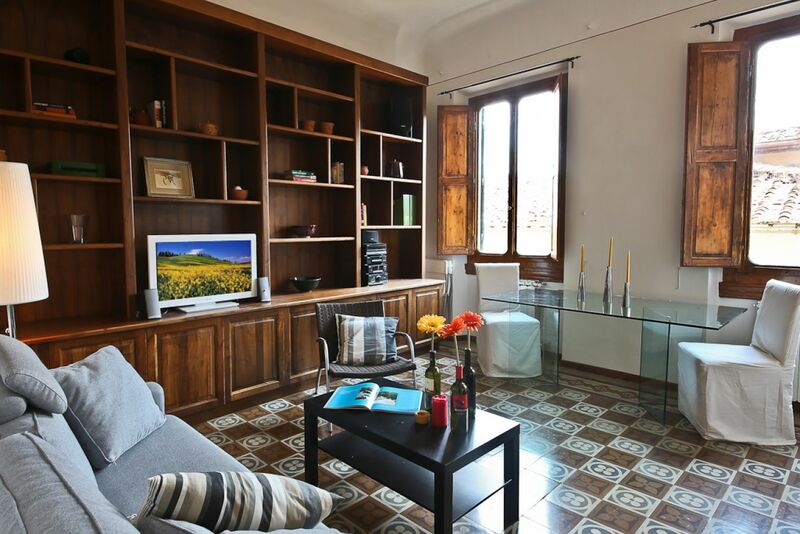 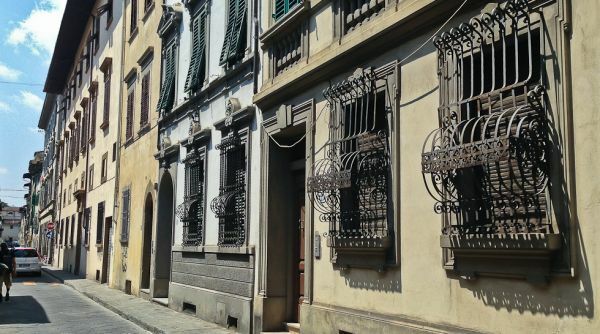 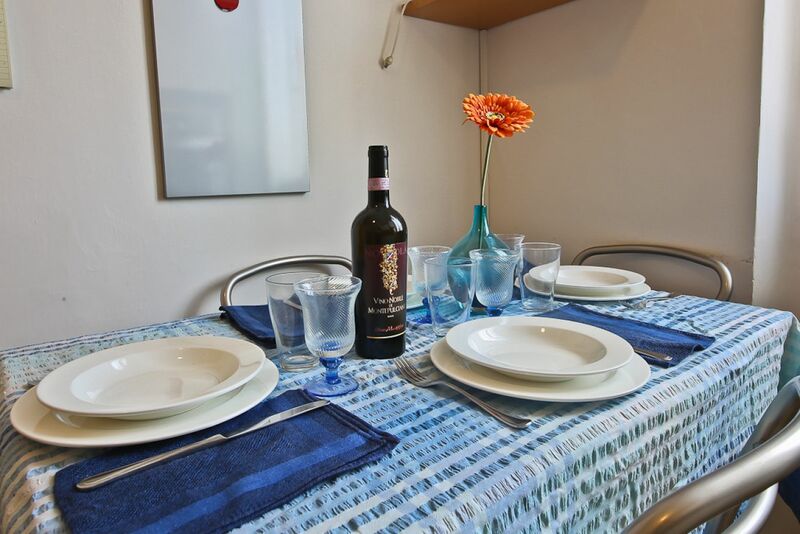 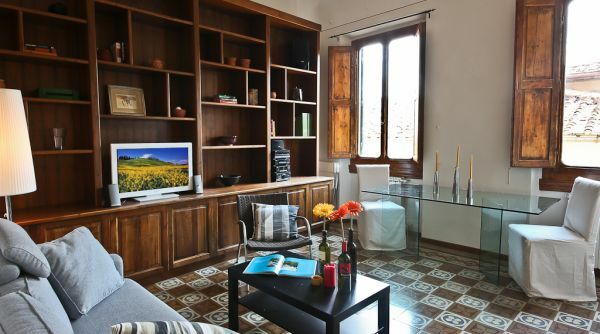 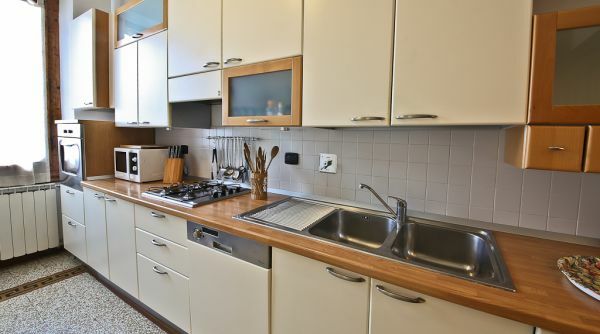 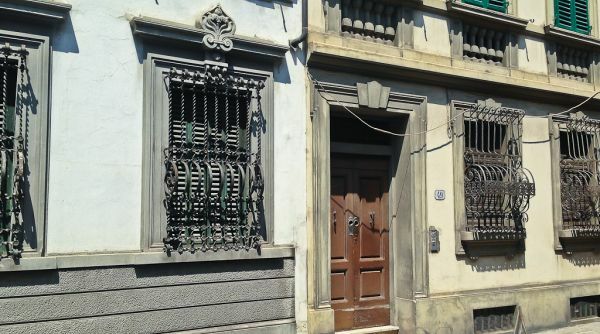 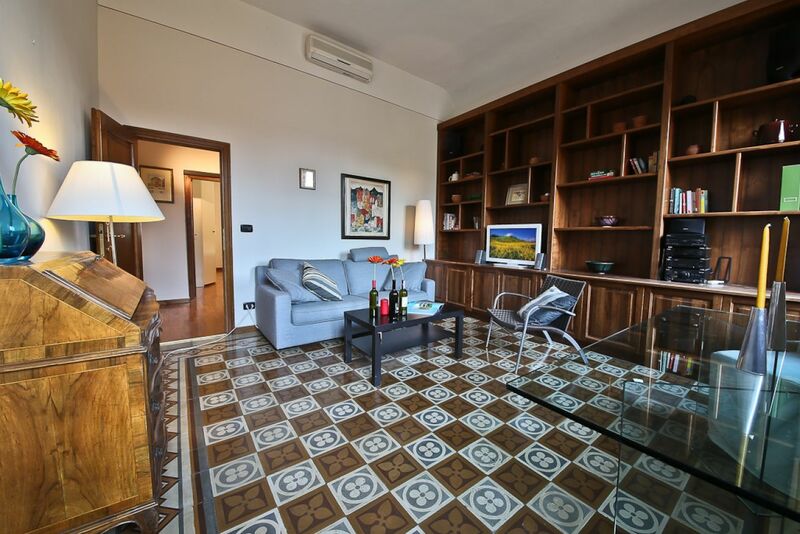 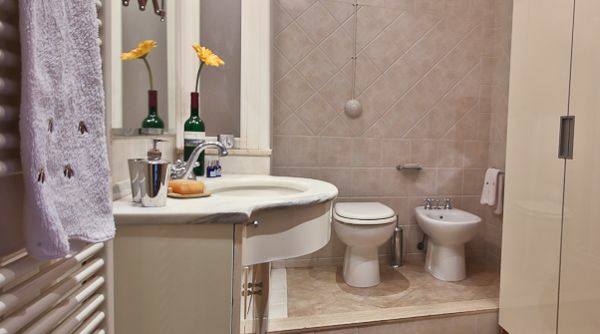 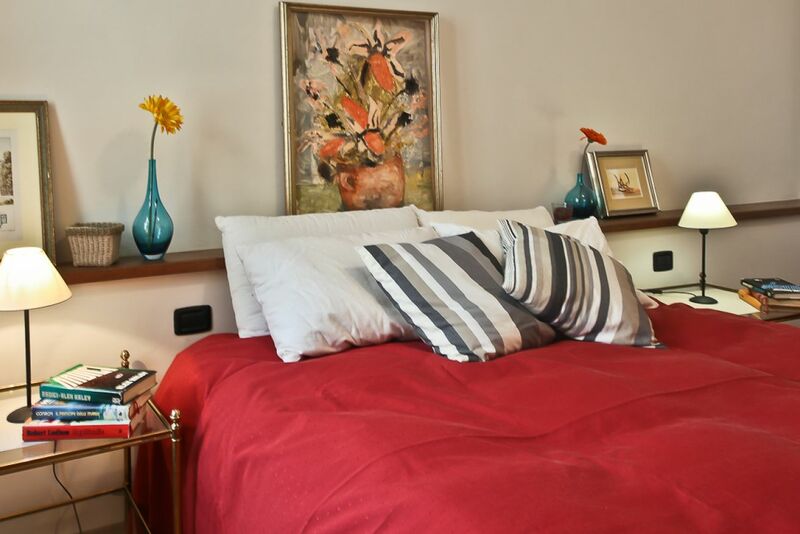 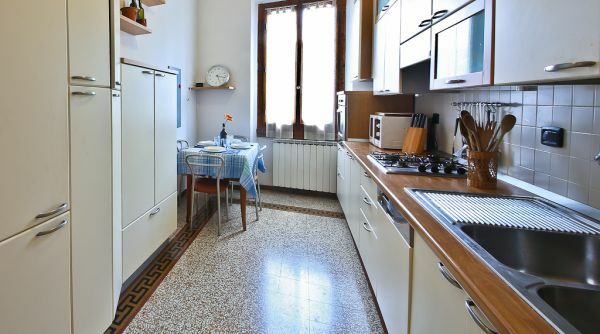 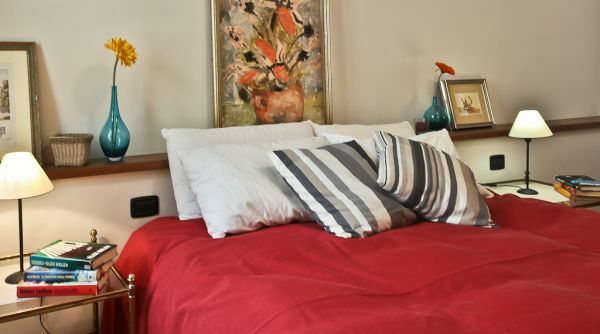 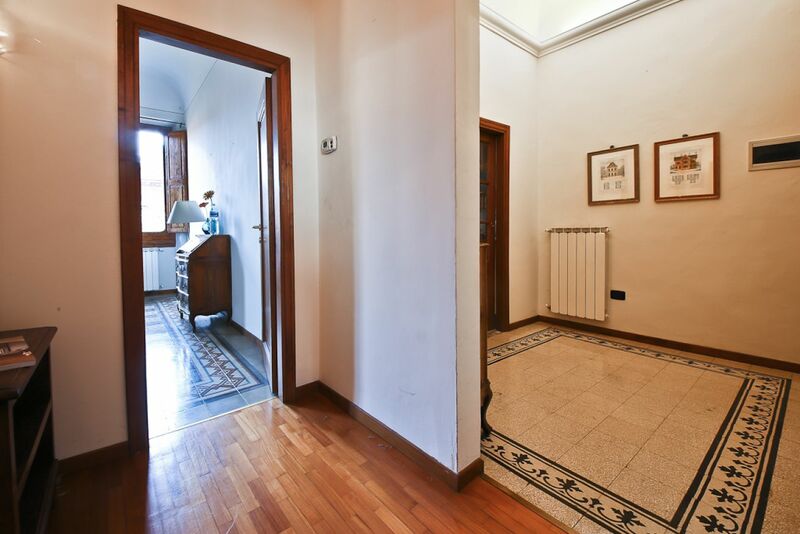 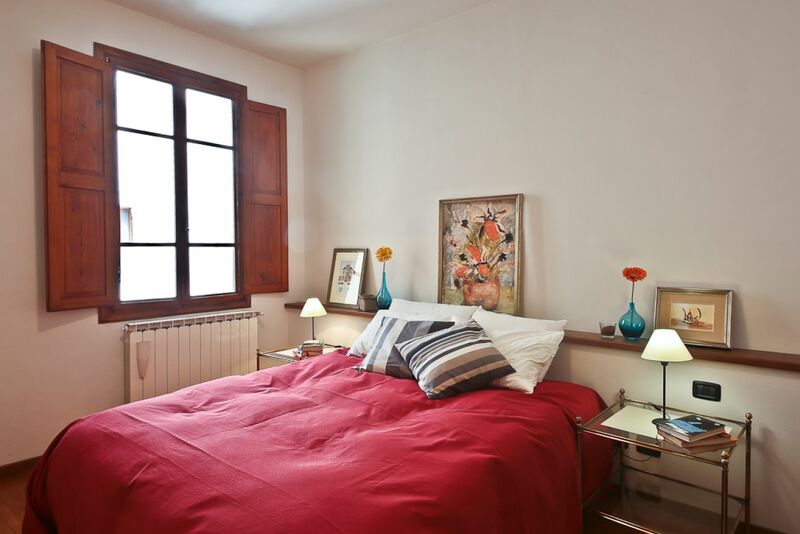 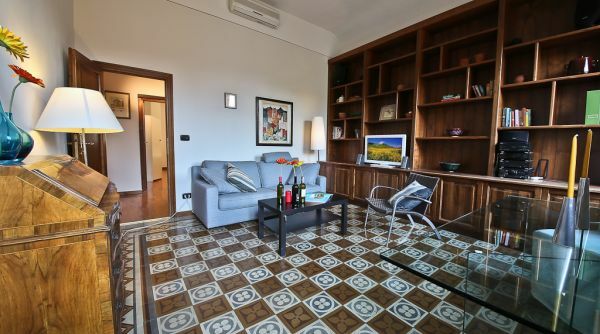 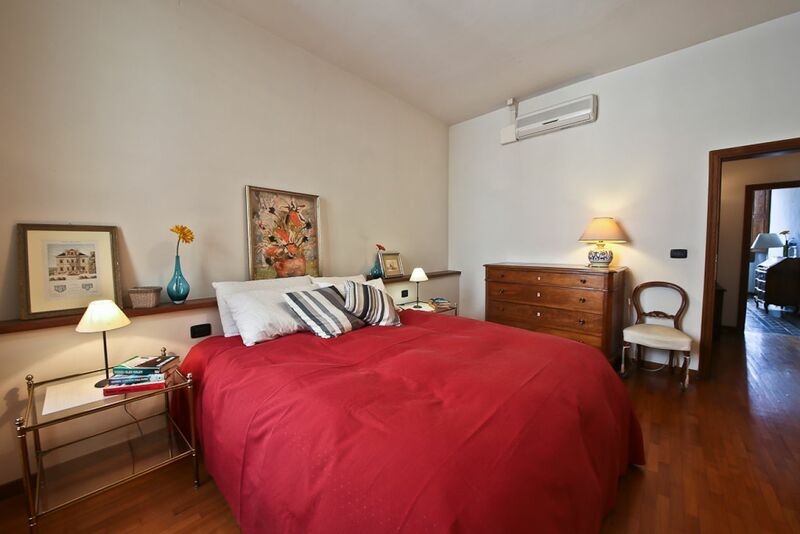 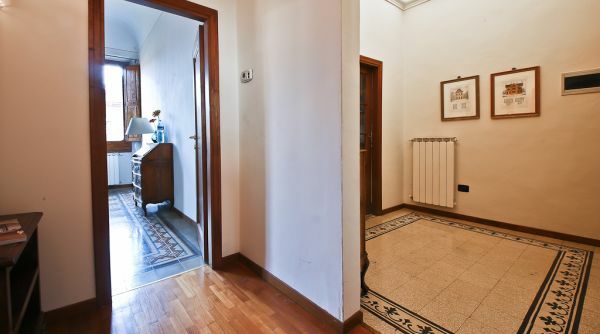 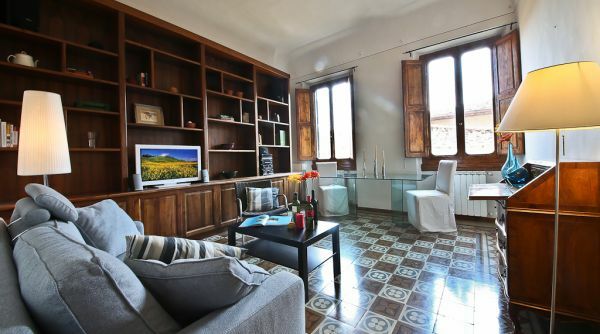 This extensive second floor apartment rental is located on a quiet street a short distance from the Duomo and the Galleria Accademia where Michelangelo's David is housed. 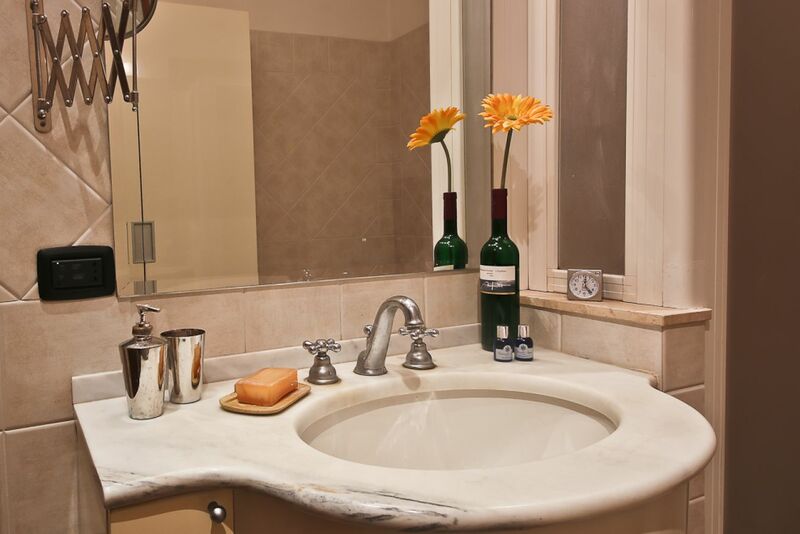 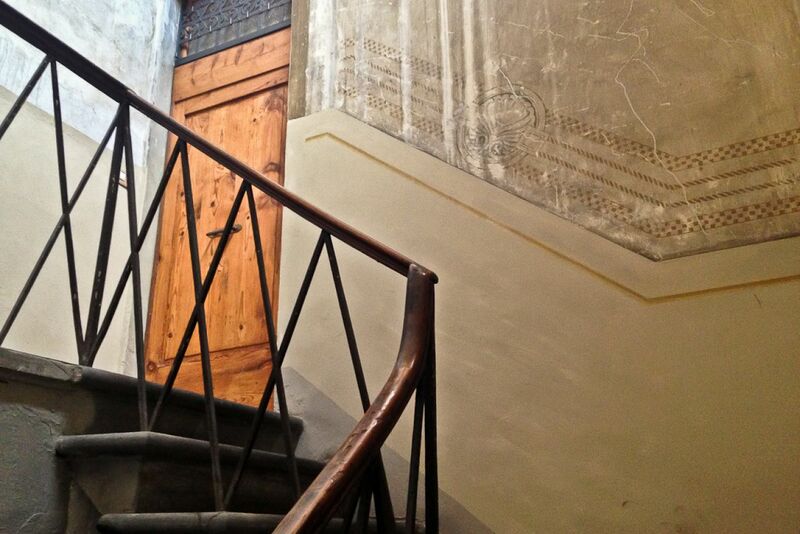 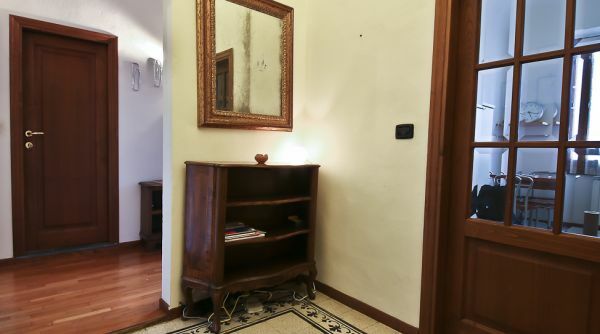 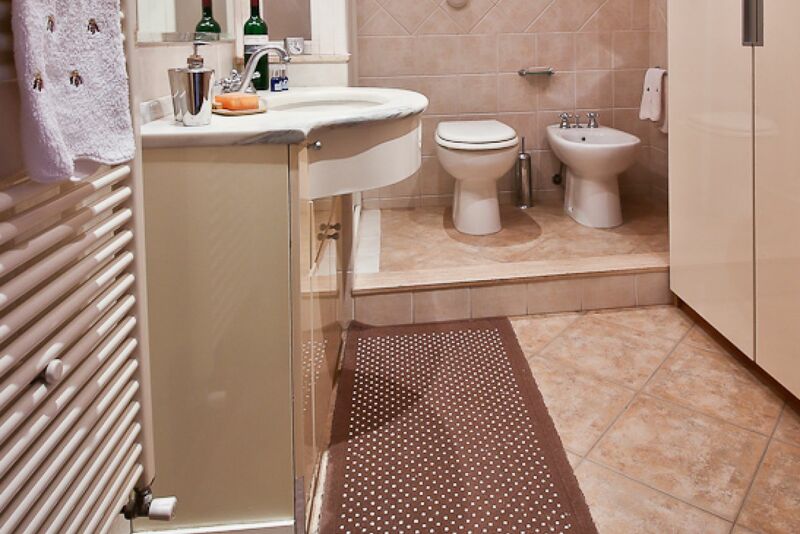 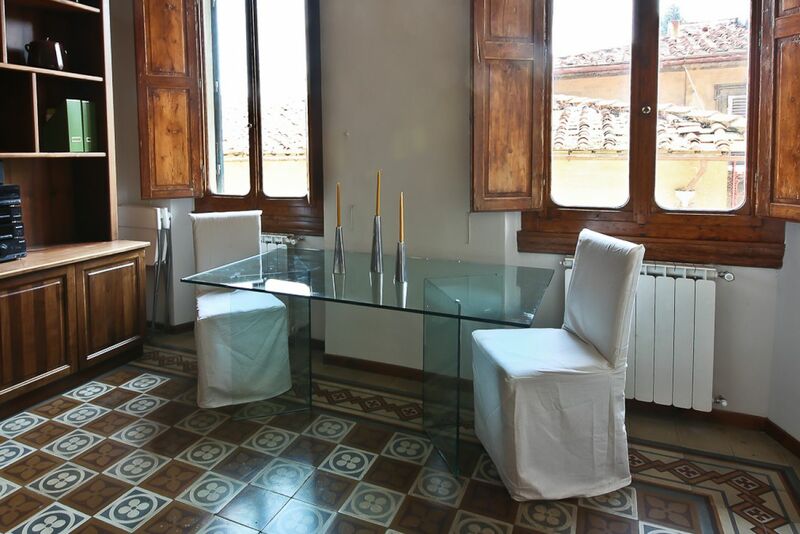 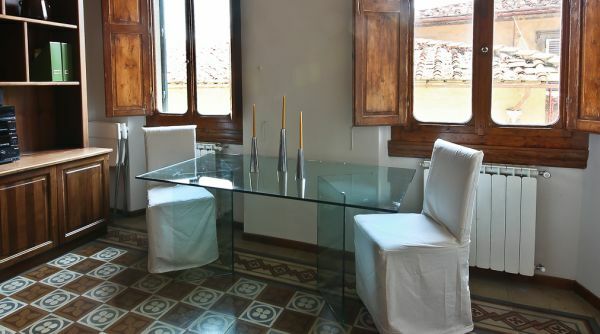 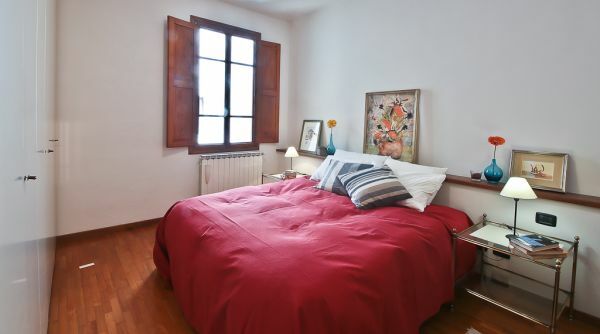 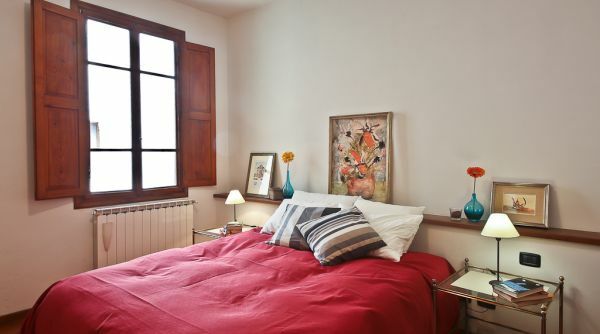 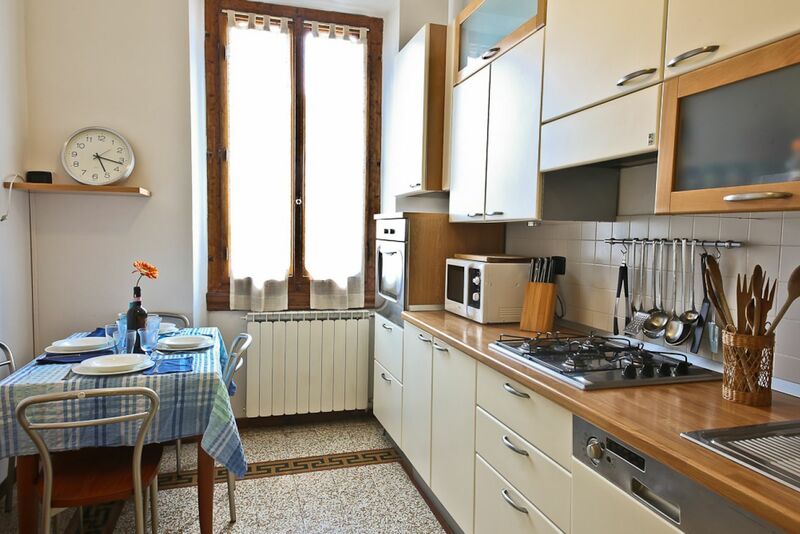 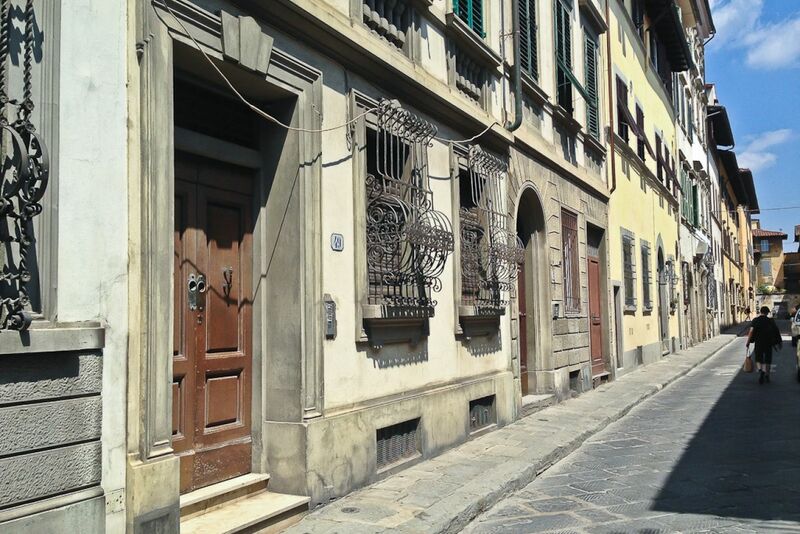 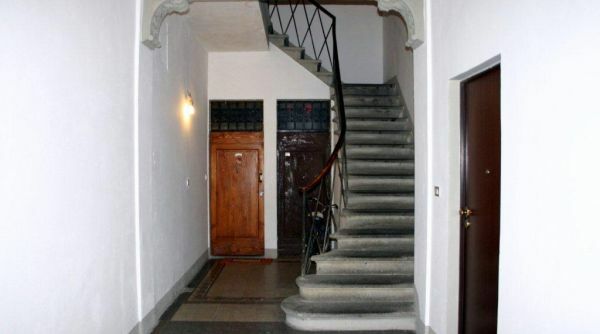 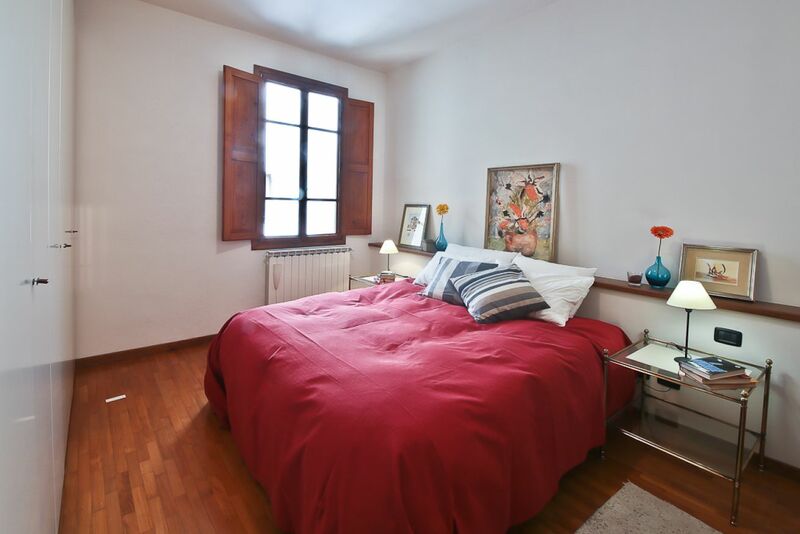 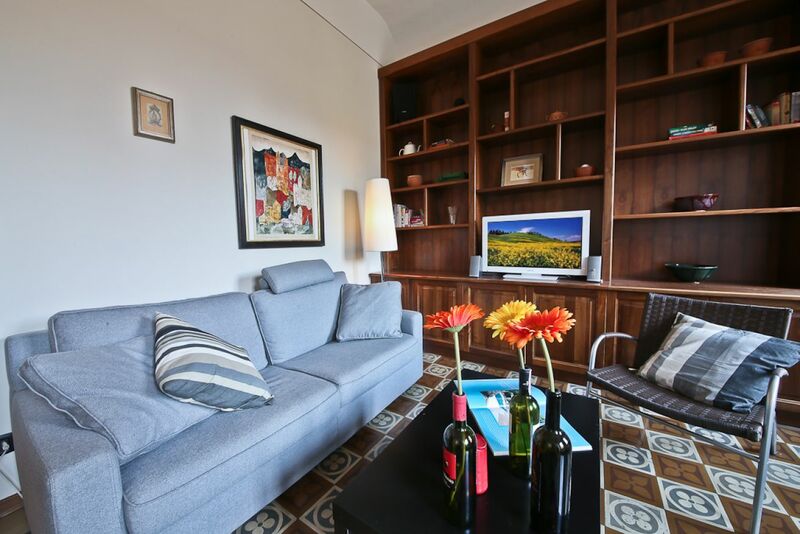 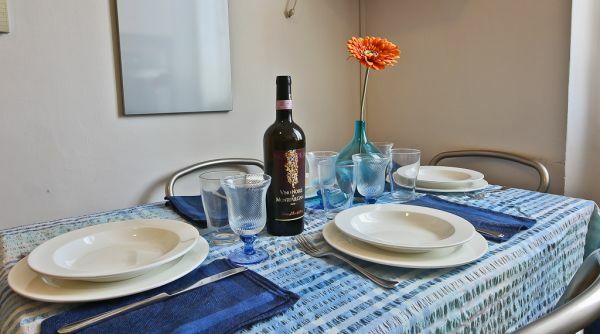 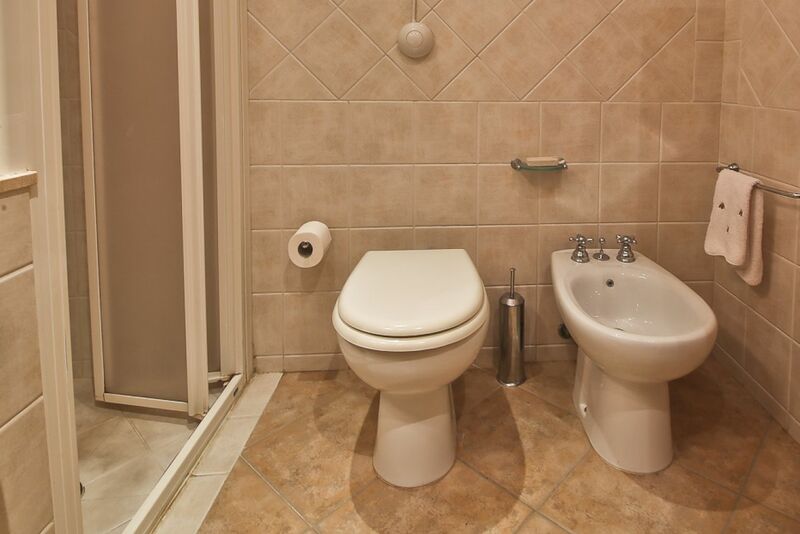 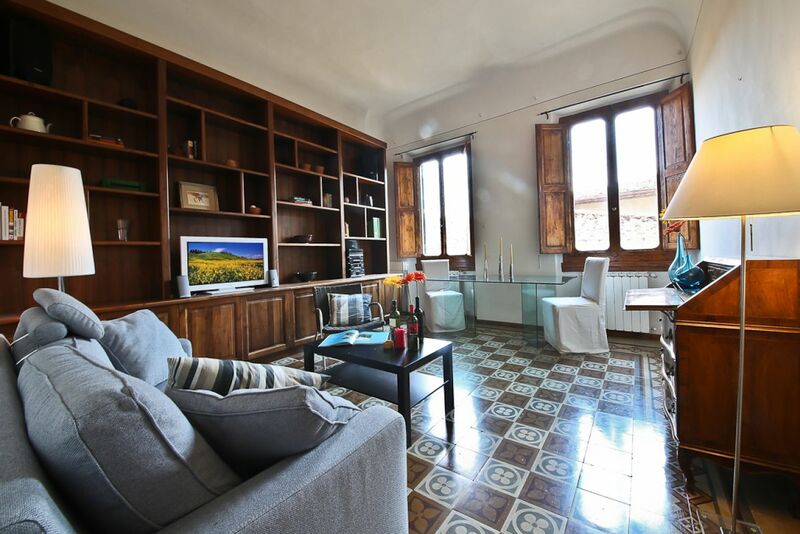 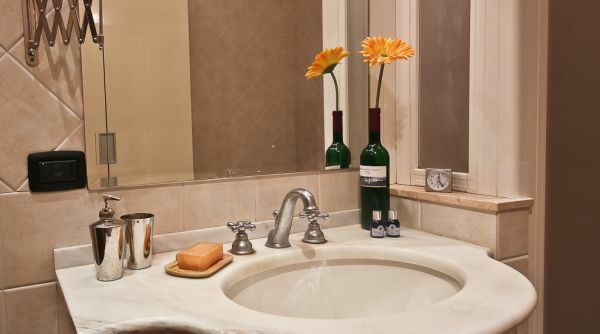 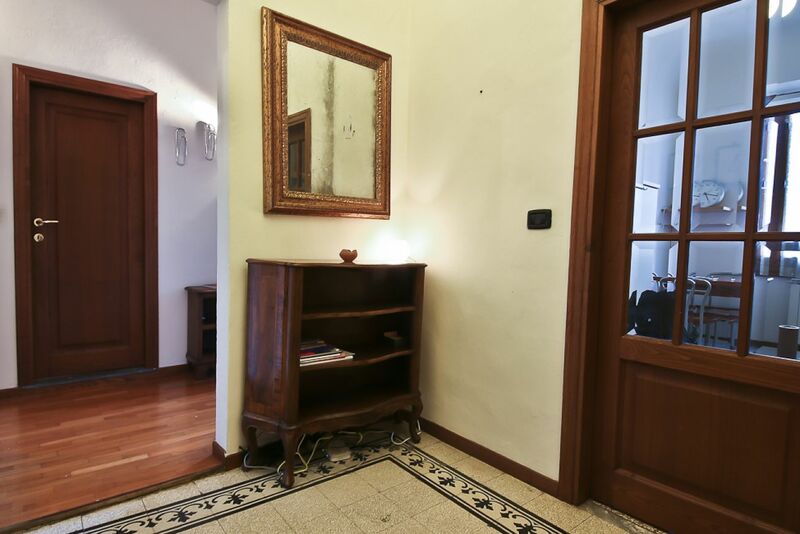 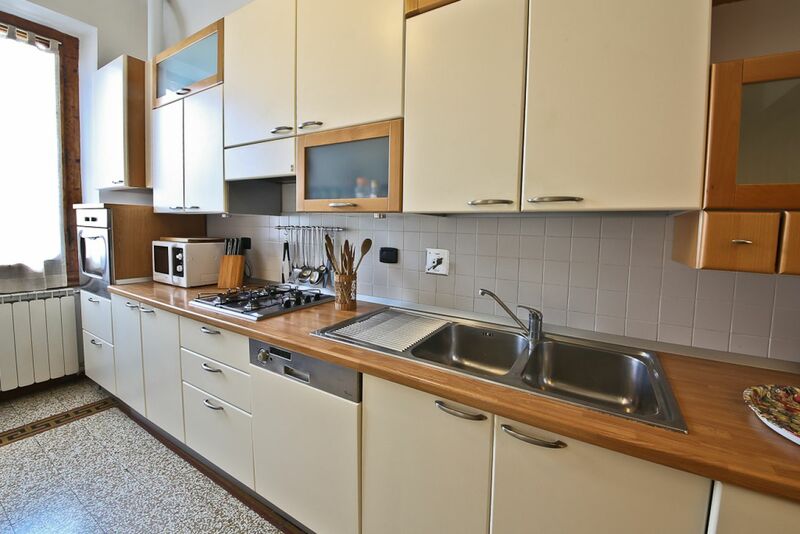 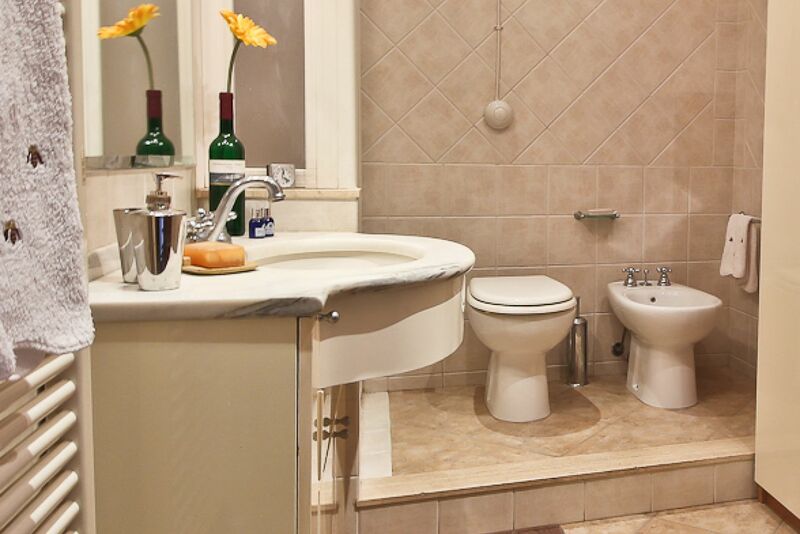 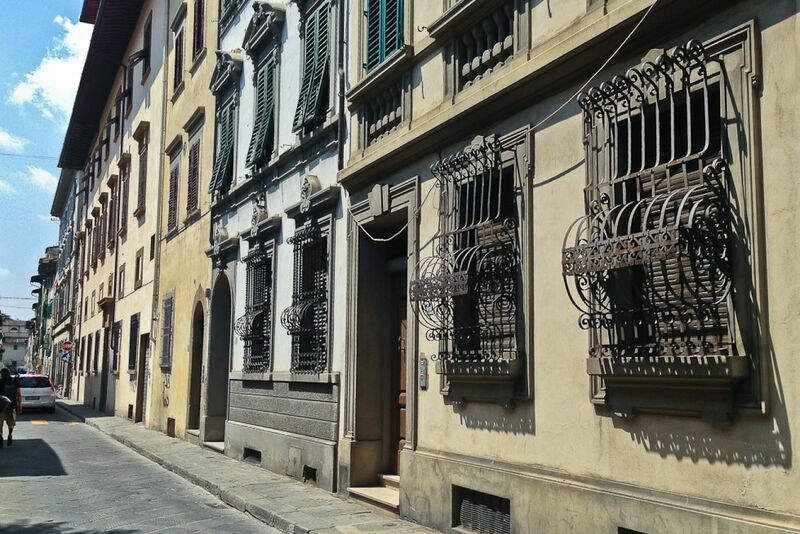 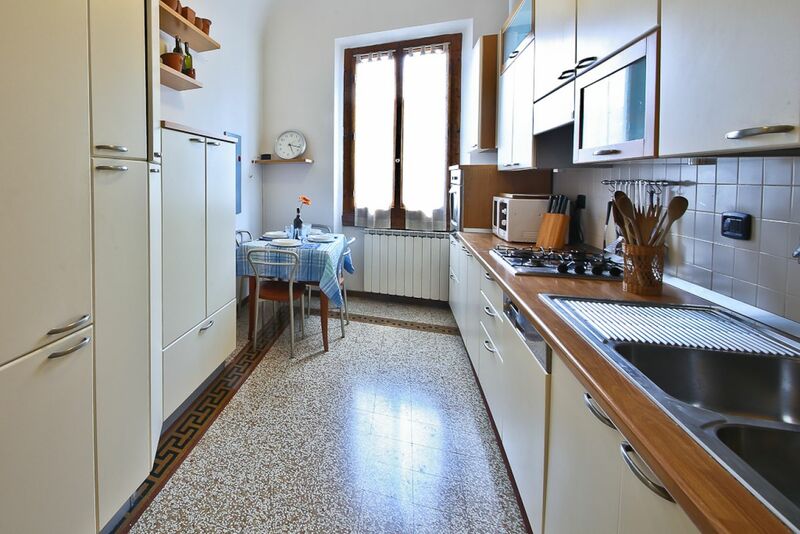 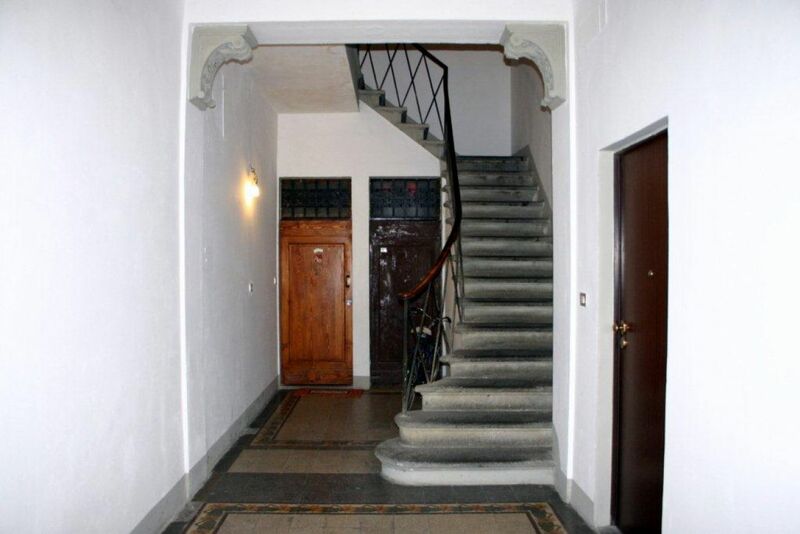 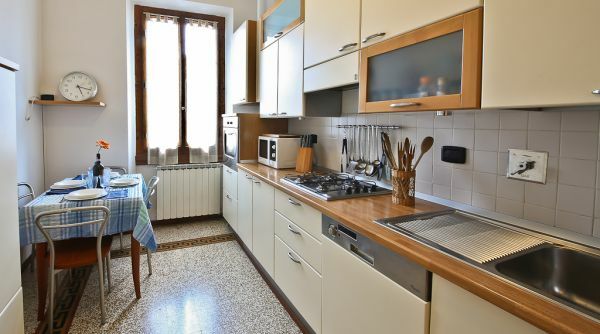 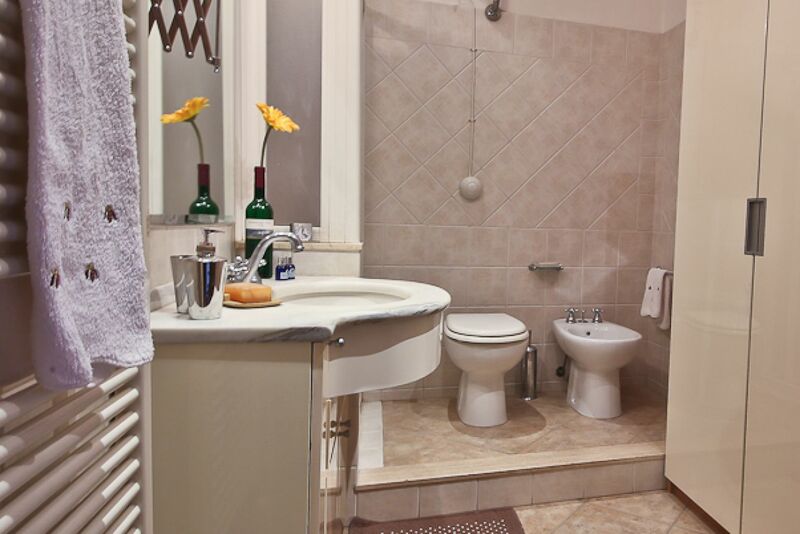 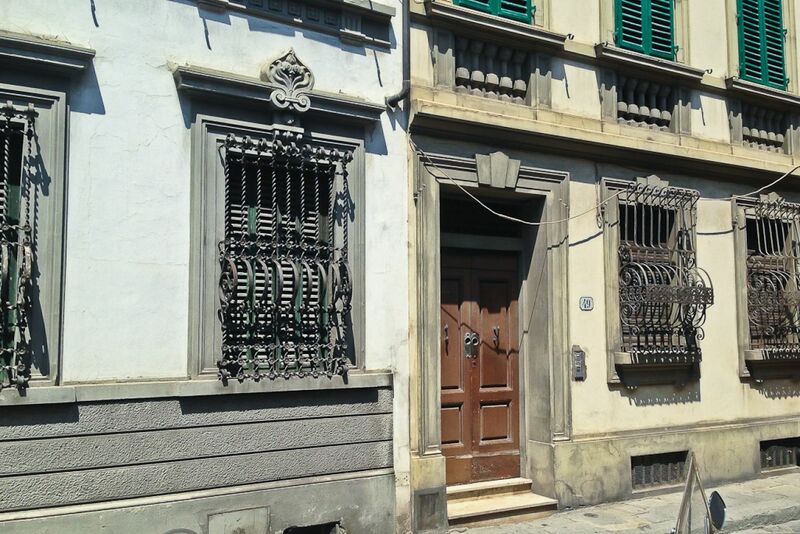 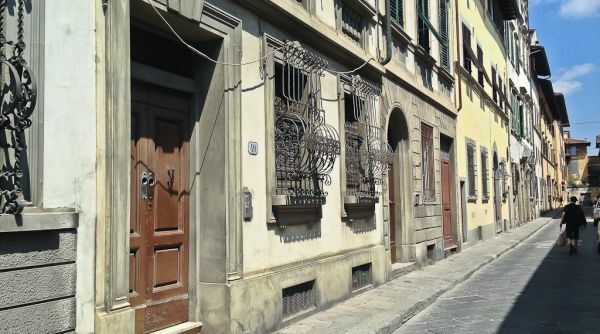 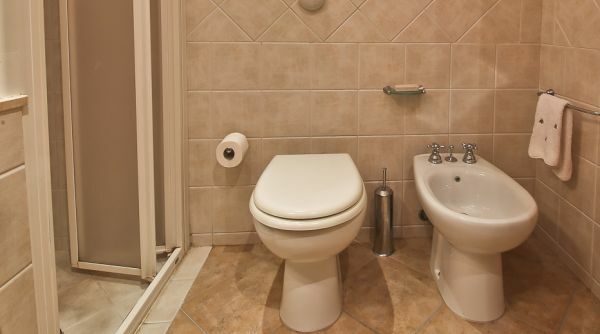 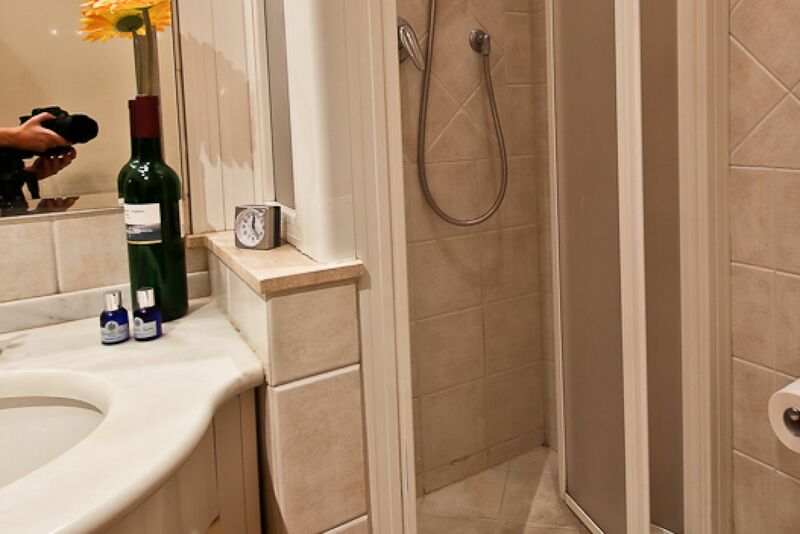 It makes a perfect long term rental or vacation accommodation in Florence's historic centre. 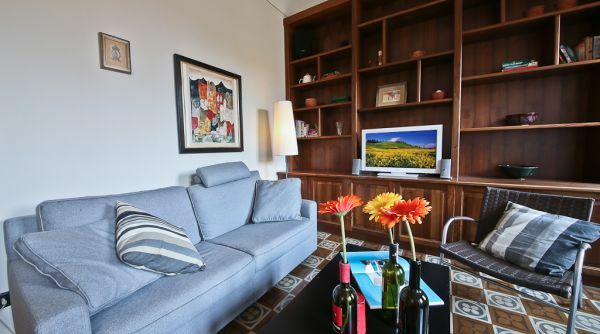 The generous living area consists of a bright lounge, with a unique ceramic floor, comfortable sofas, TV and dining area, and a wonderful, modern, fully equipped kitchen. 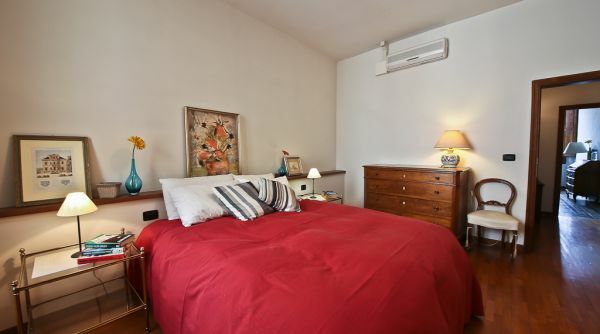 The bedroom is furnished with a queen-size bed, large wardrobe and antique pieces, and the large bathroom is fitted with a walk-in shower and ample storage space.